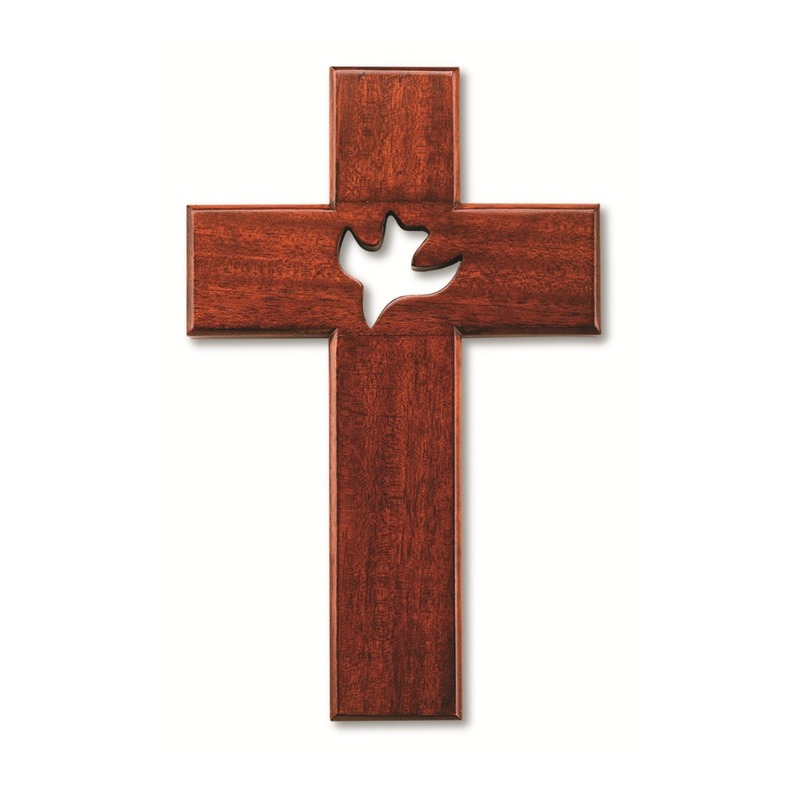 This lovely cross features an artfully designed dove cut-out for a unique presentation of the Holy Spirit. Perfect for celebrating the Sacrament of Confirmation. Attractive style for anyone on this most special day and a beautiful keepsake cross that reminds one of the Gifts of the Spirit that help us on our spiritual journey. Mahogany Wall cross: 10", Beveled wood.